John is a former diplomat. He is currently an Investment Advisor at Hartleys Ltd where he specialises in assisting Australian and International clients manage their wealth. Prior to joining Hartleys, John spent 16 years as a policy officer with the Department of Foreign Affairs and Trade (including postings to Bangkok and Jakarta). He speaks Thai, Indonesian, some Mandarin and basic French. John has degrees in Arts and Law from the University of Melbourne. John also has a Master of International Law qualification from the Australian National University. He is married (his wife is a former diplomat too) with 2 children – all of whom share his interest in international travel, language study and foreign affairs. He is currently learning Spanish. Samina is Director of the Centre for Muslim States and Societies, and lectures in Political Science and International Relations at the University of Western Australia (UWA), Perth. She is a specialist in political and strategic developments in South Asia especially Pakistan, the role of Islam in world politics, and citizenship among Australian immigrant women. Her current research focuses on the role of Islamic militant groups in Pakistan’s foreign policy. Professor Yasmeen was a member of the National Consultative Committee of International Security Issues (2005–2008); a member of the Australian Multicultural Advisory Council (AMAC) 2009-2011; member of the Council for Immigration Services and Status Resolution (2009-2011), and the Australian Multicultural Council (AMC) from 2011-2014. She is currently a member of the National Australia Day Council (NADC), and the Australian Strategic Policy Institute. 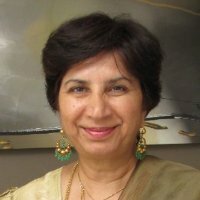 She also serves as a member of the National Consultative Committee of the National Centre of Excellence for Islamic Studies, University of Melbourne, a Vice-President of the Australian Institute for International Affairs (WA Branch), and a member of the Red Cross WA International Humanitarian Law Committee. Samina Yasmeen is the recipient of the 2011 WA Citizenship Sir Ronald Wilson Leadership Award, and was inducted into the WA Women’s Hall of Fame on 8 March 2012. She was elected as a Fellow of the Australian Institute of International Affairs in November 2012 and received the Award of the Member of the Order of Australia (AM) in June 2014. 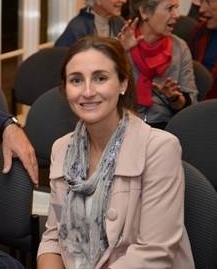 After joining the AIIA WA as one of the youngest faces back in 2007 as the inaugural joint recipient of the Peter Sim Prize from UWA, Amy has worked her way up into the senior ranks of the AIIA WA Committee being elected as one of the two Vice Presidents at the last AGM. Amy has an intimate understanding of the workings of AIIA having served as the immediate past Honorary Secretary for two years from 2013. 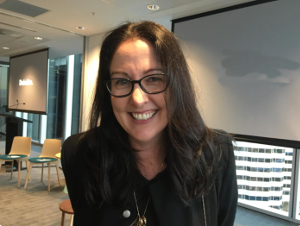 She was also instrumental in establishing the Young Professionals Network and transforming the demographic landscape of WA’s membership base, which now has a healthy representation of students and young professionals under the age of 35. 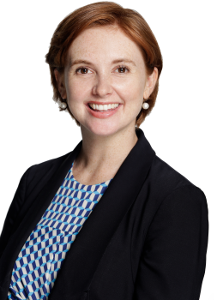 Outside of her voluntary contributions to AIIA WA, Amy is Community Development Manager for Australia’s largest independent residential property development, Satterley Property Group. 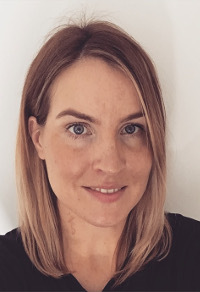 In this role, she oversees the activation of nine residential communities from Perth’s northern coastal suburb of Jindalee right down to Busselton in the South West running community events and various community capacity building initiatives. Sue is a graduate of UWA and spent 34 years in the Australian Foreign Service, with postings in Portugal, East Berlin, UN New York, Bangladesh, Vietnam, Hong Kong and Fiji. After returning to WA in 2003, she joined the Board of Gold Corporation, the Senate of UWA, the External Advisory Board of the Pacific Regional Human Rights Organisation, and became President of the AIIA (WA). 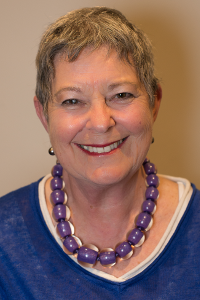 She continues on the UWA Senate, is on the Editorial Committee member of the In the Zone Conference, is a Director of Volunteering WA, and Immediate Past President of the AIIA (WA). Sue is also a Senior Executive Business Coach. Tom is a qualified accountant who moved from the UK in 2013. He is a Director in Deloitte’s Risk Services team specialising increating a commercial risk culture, reducing red tape and creating sustainable business change. 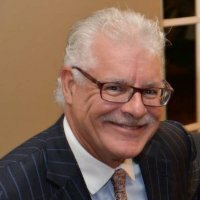 He coordinates Deloitte’s impact across WA Government and has worked with many Public Sector bodies across the UK and Australia. Tom also champions Gov2020, a collection of thought leadership from across the globe exploring the potential role of government in 2020 and beyond. He is also the Treasurer on the board of Earth Sciences Western Australia (ESWA). 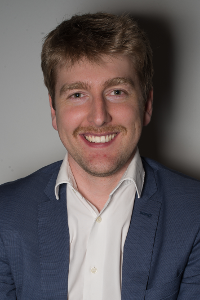 Tom has a masters in mathematics from the University of Bristol and has an interest in international politics. He has worked in four countries and has lived in six. He is half Polish and half English and has a conversational grasp of Italian. He loves his music and especially the piano. Since moving to Perth, he’s decided to join the kitesurfing craze and is hoping to spend even more time on the beach, logging those beach hours required for Aussie citizenship. Let him know if you’re renting a place by the water, he may be interested! 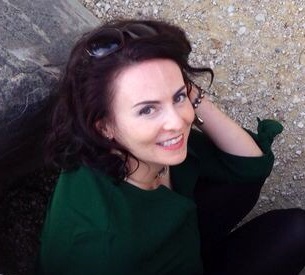 Gráinne joined the AIIA in 2007, while studying a Bachelor of Arts in Philosophy and Japanese at UWA. She has felt honoured to be invited to join the committee after recently returning to Perth from four years living in the Pilbara. There she worked in a senior public sector role with the Department of Education and was responsible for the negotiation, allocation and utilisation of Federal and State training funding. She liaised with large resource companies to create innovative programs for schools in remote Aboriginal communities and mining towns and also worked as a TAFE lecturer. Her interest in International Affairs has developed through her fifteen year membership in the International Karate Organisation (IKO) Kyokushinkaikan. With more than twelve million members in 125 countries worldwide, Grainne’s participation has allowed her to develop strong networks with fellow instructors and students across the globe, visiting dojos in distant locations such as Switzerland and Nepal. She became the first female Kyokushin black belt in WA in 2008. She spent eighteen months living in Japan, studying Japanese language and attending camps and competitions, gaining a spot in the All Japan Tournament in 2004. She has assisted Australian national delegations to Japan in several large scale international tournaments and believes that exchange through international sporting and cultural events is an important form of citizen diplomacy. She is also an experienced yoga teacher and her corporate yoga clients have included Rio Tinto and the Pilbara Regiment. Her recent travels have led her to yoga retreat centres in India, and five months exploring Asia and Europe, including a stint teaching yoga in Indonesia. A dual Irish-Australian citizen, Gráinne is a former competitor in the Perth Rose of Tralee and is named after a rebellious sixteenth century Irish seafaring queen. 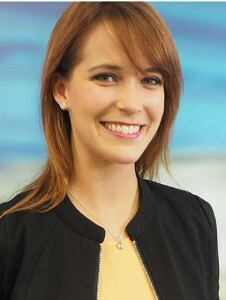 Anne-Marie joined AIIA WA in 2009, while studying her Master in International Relations. She has been a committee member since 2010, holding various roles, including the role of the YPN convener. Originally from Sweden, Anne-Marie has always been interested in all things international, which saw her study an international program at her high school, including visits to the EU institutions in Brussels as well as a year overseas at the Swedish school in Fuengirola, Spain. She holds a Bachelor of Social Sciences (Political Science) from Stockholm University and a Master of International Relations from Curtin University. 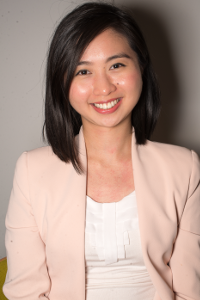 She was inducted as an Emerging Scholar by AIIA in 2012 and has since received a Scholarship at Curtin to undertake her PhD researching soft counter-terrorism strategies. She is a regular contributor to the Lowy Interpreter and speaks 5 languages: English, Swedish, Finnish, Spanish and basic French. A triple-national (Finnish-Swedish-Australian) citizen, Anne-Marie loves travelling and is a dedicated pilates and yoga fan. When she hasn’t got her nose in her books or social media, you can most likely find her sharpening her ballet technique at an Xtend Barre class! Nancye Miles-Tweedie is a former employee of DFAT. Since completing two overseas postings to Jakarta, and Tokyo, Nancye has married and has had three children in Perth. Nancye has an interest in photography and social media and has been utilising these skills in her AIIA WA committee role since 2014. Nancye also takes minutes for various other committees. She is a volunteer researcher on the Western Front Dead from W.A. project with local historian, Shannon Lovelady. She is a committee member of ROSL WA (Royal Over-Seas League). She volunteers once a week at PLC’s Archives department and is the director of Western Suburbs Concierge Services. Nancye enjoys all these roles, but especially enjoys the company of her three teenaged kids, and all that their exciting lives entail. Amy has recently returned to her home town Perth after living, working and studying in China for six years. During this time she represented the Department of Foreign Affairs and Trade (DFAT) as an Australian Youth Ambassador for Development (AYAD), following her placement she worked for an international consultancy company specialising in Environmental, Social and Health Impact Assessments on significant projects in the Oil, Gas & Mining sector across Asia Pacific, Eurasia and Africa. Amy developed professional language fluency in Mandarin and also has a cultural and geographical understanding of the greater region gained through independent travel in Japan, South Korea, Singapore, Malaysia, India, Taiwan, Hong Kong, Vietnam, Indonesia, Philippines, Kazakhstan, Uzbekistan, Myanmar, Mongolia and North Korea. Amy is passionate about strengthening international engagement and economic development outcomes for Western Australia which is her focus in her new role as Senior Business Development Manager at the Perth Convention Bureau. Amy has a higher tertiary education background with a Bachelor Degree (First Class Honours) and Postgraduate Diploma in Science from Melbourne University. Candy is a Graduate Contracting & Procurement Adviser at Woodside Energy. Having supported the production supply chain and legal since she joined in February 2016, Candy looks forward to transitioning into multiple roles across the business as she completes the graduate program. Candy is passionate about promoting inclusion in international trade so that its benefits can reach the world’s poorest and most vulnerable. She seeks to drive innovation in trade and development as a business leader. Candy completed her undergraduate studies at The University of Western Australia with a Bachelor of Laws (Hons.) and Commerce. Candy also has a Graduate Certificate in Chinese Law from Murdoch University after completing postgraduate studies at the City University of Hong Kong. Candy loves to play the piano and travel. She speaks Cantonese, Mandarin and some Japanese. Natalie has recently joined the AIIA WA team as Strategic Partnerships Director.